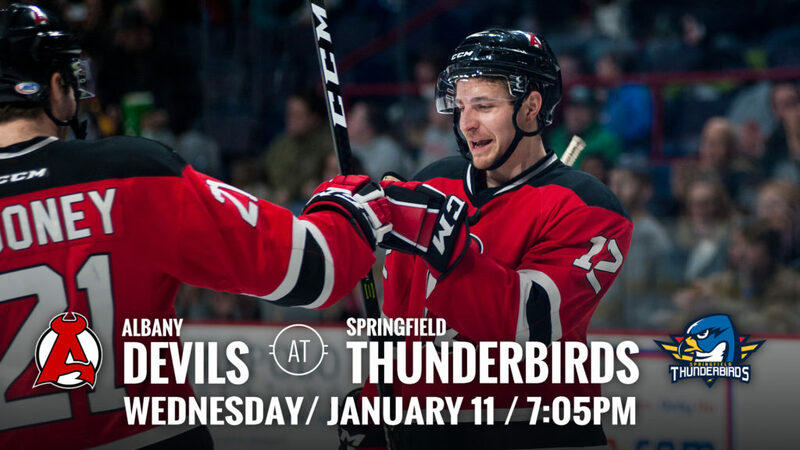 SPRINGFIELD, MA – The Albany Devils travel to take on the Springfield Thunderbirds this Wednesday at MassMutual Center for a 7:05 pm puck drop. 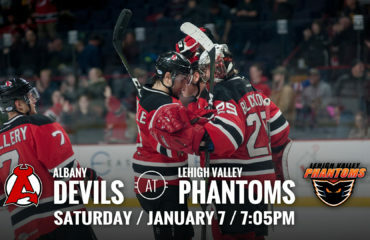 The Devils are coming off two road losses over the weekend, 4-2 Friday at Utica and 2-0 Saturday at Lehigh Valley. 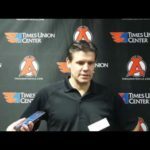 The Thunderbirds are coming off a 4-1 loss against Providence Saturday. 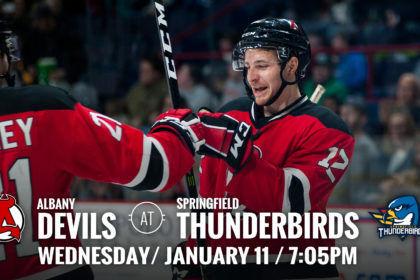 First Meeting: Wednesday’s game will mark the first ever meeting between the Devils and Thunderbirds, who are the AHL affiliate of the Florida Panthers. 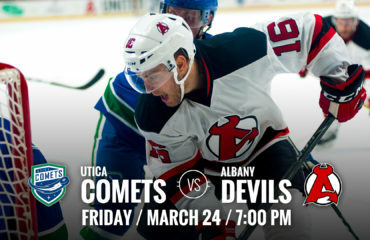 Albany currently stands at 20-15-0-1 while Springfield stands at 14-13-4-2. 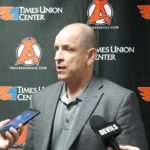 Overall Record: While this will be the first time the Devils take on the Springfield Thunderbirds, Albany has gone 36-29-4-5 overall against all Springfield AHL teams, most recently the Falcons. 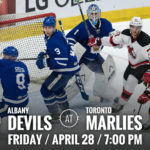 New Jersey Watch: On Tuesday, the New Jersey Devils recalled D Karl Stollery and F Blake Coleman from Albany. 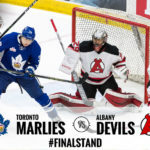 Coleman stands in third place on Albany for points with 23 (13g-10a) during the 2016-17 season. 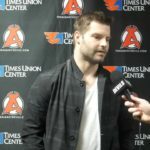 Stollery currently has nine points, all being assists, and stands in second in points among defensemen for Albany this season.